2018 Ford C-Max For Sale In Vernon, Kelowna, Okanagan, BC. Elevate your efficiency in the remarkable 2018 Ford C-MAX as you encounter a design that was intentionally crafted to exceed your expectations. Through a sleek five-door design with seating for up to five people, this vehicle brings you face to face with your potential for adventure without hesitation. Available trim levels include the Hybrid SE and the Hybrid Titanium. No matter where life takes you, the 2018 Ford C-MAX will be there right by your side, ensuring driver safety and comfort. Relax on the available leather-trimmed front bucket seats for lasting support as the heated seats ensure that you and your passengers stay toasty warm even on cold winter days. Find your perfect position as you adjust your settings through the 10-way power adjustable driver seat. With both hands on the leather-wrapped steering wheel with secondary audio controls, you can access your settings without distraction from the road ahead. When it comes to keeping your front passenger happy, you can turn to the Dual-Zone Electronic Automatic Temperature Control and its ability to maintain two different front temperatures at the same time. Freedom for your cargo is presented through the 60/40 split-fold second-row seat, allowing you to change up your seat positions to maximize space where it is needed. Enjoy a refreshing take on design with the 2018 Ford C-MAX as it catches attention through its black rocker panels, body-coloured bumper fascias and ebony or chrome grille with chrome surround. Functionality is a key element of the design as power heated exterior mirrors work to free your view form unwanted debris. Driving dynamics are enhanced through the Active Grille Shutters, which are electronically controlled to maintain ideal engine operating temperature and improve aerodynamics. Enjoy the convenience of a power liftgate for easy cargo loading and unloading while a panoramic fixed-glass vista roof provides a sophisticated way to experience more of the great outdoors. 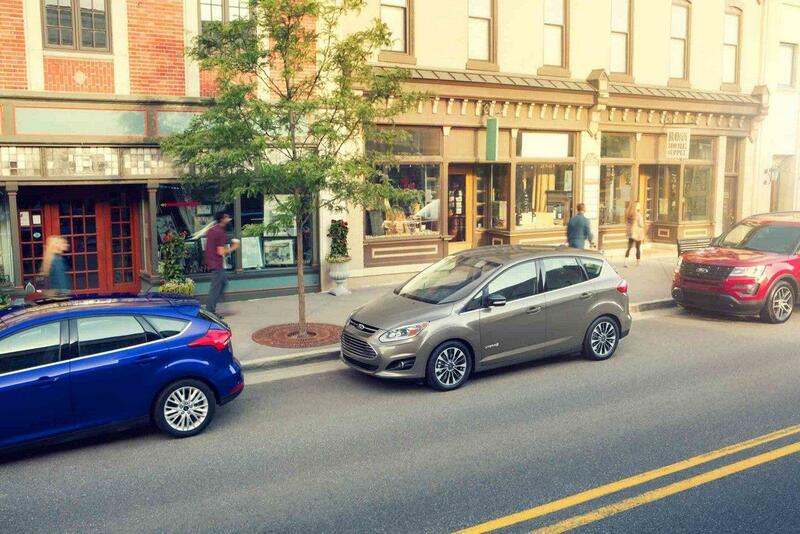 Make calls without hesitation in the 2018 Ford C-MAX as you interact with a rich display of innovation through SYNC 3 with unique hybrid electric content. You are given hands-free access to your compatible devices through Available Apple CarPlay and Android Auto so that nothing takes your focus off the road. Find your way to each destination with ease as the voice-activated touchscreen navigation system provides you with turn-by-turn directions to an array of destinations. When you drive the 2018 Ford C-MAX, you are given an opportunity to customize your settings to meet certain requirements and enhance personal preferences through Genuine Ford Parts and Accessories. Select from a series of interior or exterior features including cargo organizers, floor mats, bumper mounted warning sensors and more. With the addition of full vehicle covers or splash guard, you can enhance the protection of the exterior to help keep your vehicle looking new. 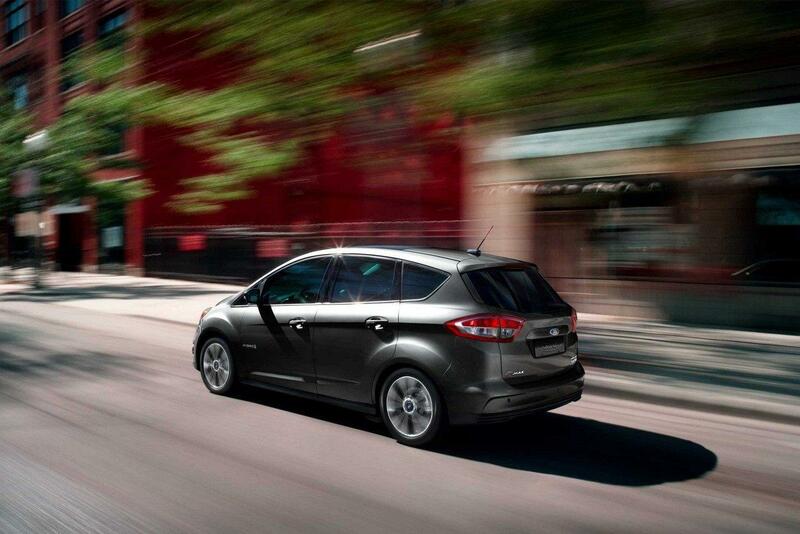 Groundbreaking efficiency is provided with the 2018 Ford C-MAX as you encounter a fresh new take on performance.Innovative power and Front Wheel Drive come together to deliver adaptive handling while the Electric Power-Assisted Steering provides fluidity and control. Enjoy the responsiveness of the Electronically Controlled Continuously Variable Transmissit's and its high shifting quality as you look for excuses to get out on the road. 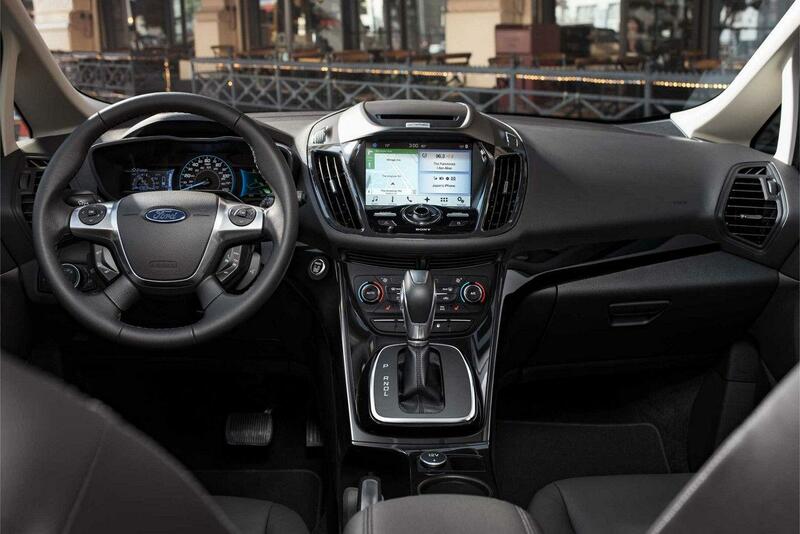 Remarkable design details emerge with the 2018 Ford C-MAX as you experience refined performance and control. Embrace efficiency as you carry out your daily routine with enhanced comfort, luxury and connectivity. Test drive the 2018 Ford C-MAX at your local Vernon Ford Dealer – Watkin Motors Ford today! Through a team of dedicated professionals and an impressive inventory, Watkin Motors Ford is here to provide answers for everything you need.